If you are searching for a new hiking bag, you have many quality options to consider, including two options from the North Face. The Vault and the Jester are two comparable bags with plenty of useful features. They are similarly priced and feature padded sleeves for a laptop or tablet. Before selecting a backpack, review the similarities and differences of these two hiking packs. The North Face Vault is a medium-sized hiking backpack that weighs just under two pounds. It has a storage capacity of 28 liters, which is suitable for a day hike. The Vault also has several pockets both on the outside and inside. To increase the support and comfort of this backpack, North Face has included the FlexVent suspension system. This includes a padded back panel with mesh material and compression shoulder straps. After you place the pack on your back, you can easily adjust these straps to secure your load. The North Face Jester is slightly larger than the Vault. However, it has a slightly smaller storage capacity. This is due to the inclusion of various features located inside the main compartment that limit the available space. The Jester offers 26 liters of storage, while the Vault offers 28 liters of space. The Jester also includes the FlexVent suspension system featuring padded panels and compression straps. Both packs also include a sternum strap to keep the shoulder straps in place.The Jester includes a bungee cord on the front of the pack for additional storage. You can use this bungee cord as an extra pocket. The interior is also different from the Vault. You get a secondary storage compartment with several pockets to help organize your gear. The Vault and the Jester have several similar features. The suspension system and the quality of the bags are equal. They also both have a laptop sleeve that can fit laptops measuring up to 15 inches. Another similarity is the padded top handle. This is a useful feature that you do not often see on hiking bags. When you need to carry the bag by hand, the padded handle is more comfortable. You also get mesh water bottle pockets, which are found on most hiking backpacks. Both the Vault and the Jester include mesh pockets on each side of the backpack. As both backpacks are produced by the same manufacturer, it is not a surprise that you get the same warranty. Both backpacks are backed by a lifetime warranty. If you notice any defects, you can get a replacement or request repairs. As mentioned, the Vault and the Jester both feature the same suspension system and similar designs. However, the Vault has a slightly narrower set of straps. If you have a smaller frame, you may find the narrower design of the Vault to be more comfortable. The Vault has a slightly larger storage capacity. It can hold 28 liters, while the Jester holds 26 liters. It is also typically cheaper than the Jester. While the Jester is a little smaller, it does include more pockets for keeping your gear organized. This includes the bungee cord pocket located on the front of the backpack. If you have a thick laptop, you may also enjoy the slightly larger laptop sleeve found on the Jester. 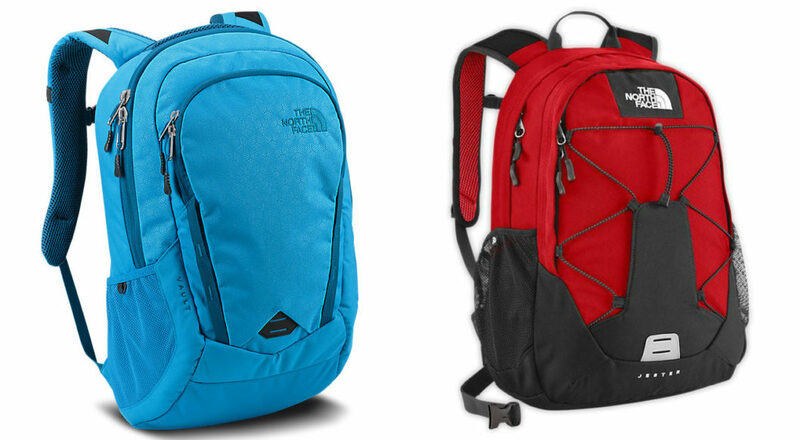 Verdict: Which Backpack Should You Choose? The North Face Vault and Jester are similar backpacks. If you are looking for a high-quality, durable pack for a day hike, either option is suitable. However, there are a few differences that may help you with your decision. If you want the cheapest option or the most storage space, the Vault is your best option. It includes a couple extra liters of storage space and typically costs less than the Jester. If you want additional pockets and features to organize and store your items, the Jester offers the most versatility. Some people may also find the Jester to be more stylish.The differences between these two products may be minor. However, everyone has his or her own preferences. Consider which of the details discussed are essential to your hiking experience before deciding on a new backpack.